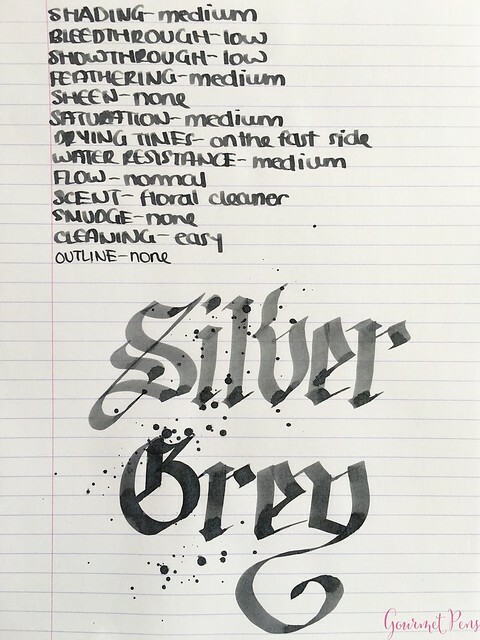 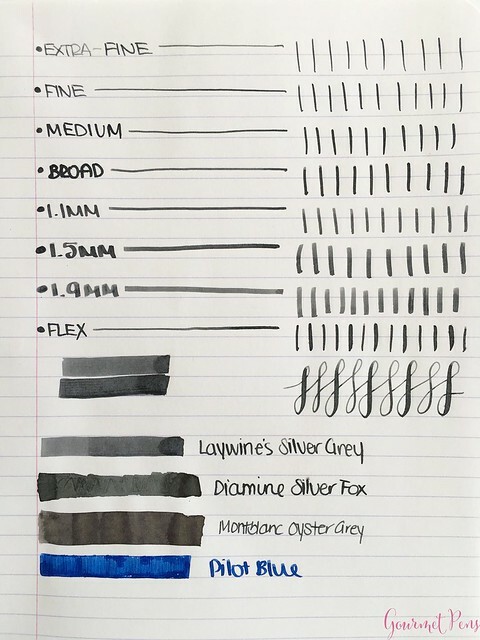 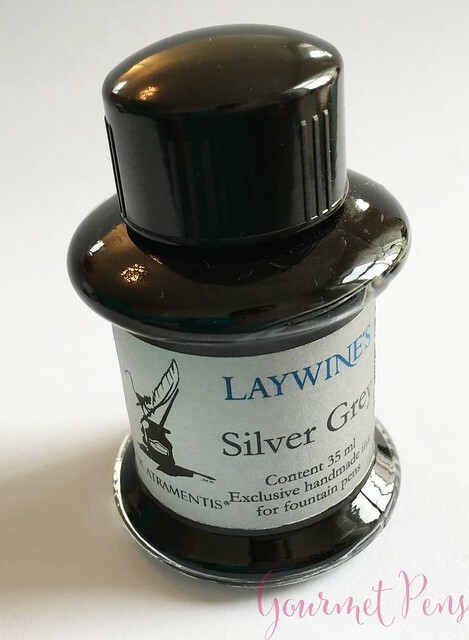 Field Trip post from my visit to Laywines, where I acquired this bottle of silvery ink! 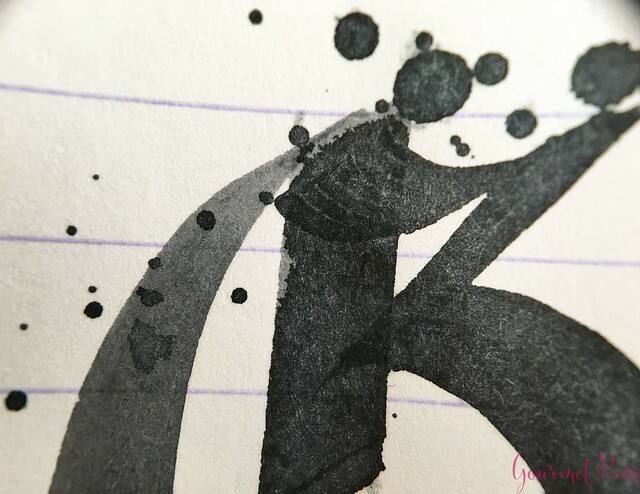 Pretty color - legible even with fine nibs. 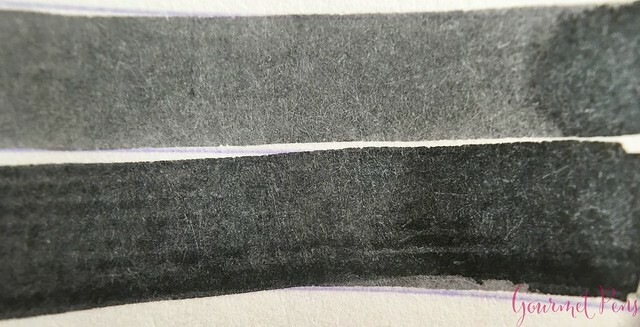 Nib-friendly bottle - easy to fill from. 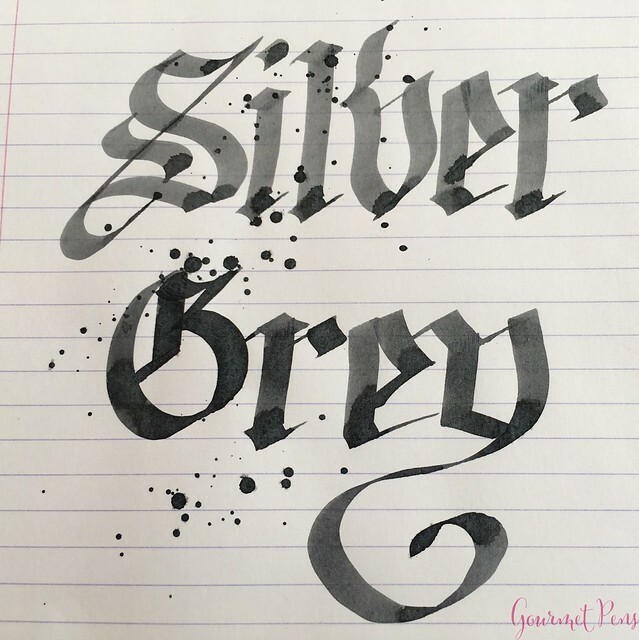 A great silvery grey - easy to clean, very pretty color, shades well. 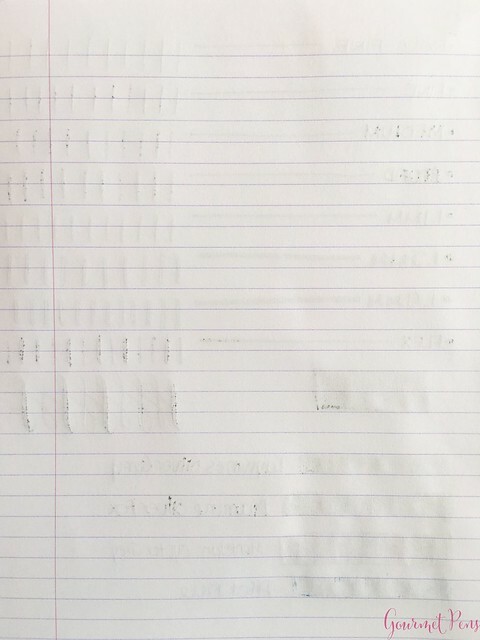 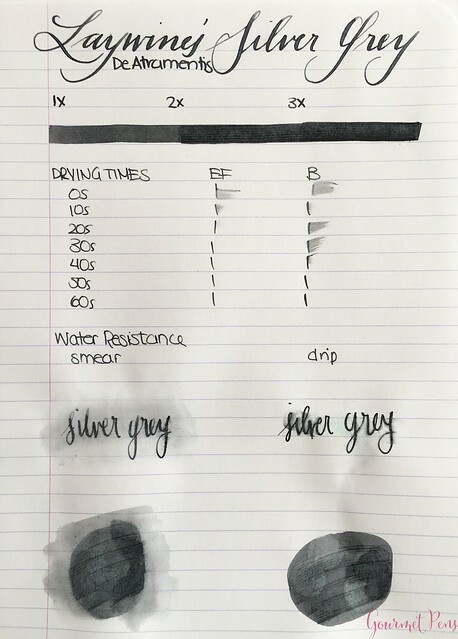 Use some fountain pen friendly paper and wide nibs (especially stubs) to bring out the gorgeous shading!